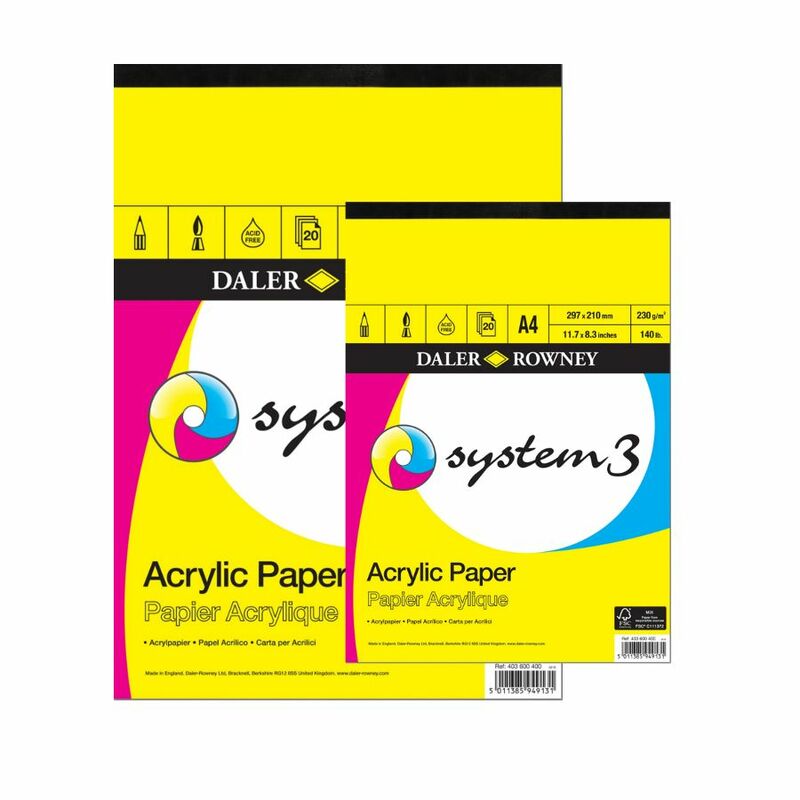 This Daler-Rowney System 3 Acrylic Pad brings you 20 sheets of paper specially treated for use with acrylic colours. With a texture close to linen, it offers just the right tooth (texture) for acrylics. The paper in this Daler-Rowney System 3 Acrylic Pad is fast-drying and acid-free to ensure the preservation of your work.